Effective A/B testing relies on a few things: good test ideas, sufficient traffic, a clear roadmap, a reliable testing tool, etc. One of the integral aspects of A/B testing that often gets overlooked is the statistical method that powers the testing platform. In our view, this is a shame, since statistical analysis is at the heart of an A/B (or multivariate, split page, multi-page...) testing strategy. That's why we've written the ebook, Demystifying A/B Testing Statistics. 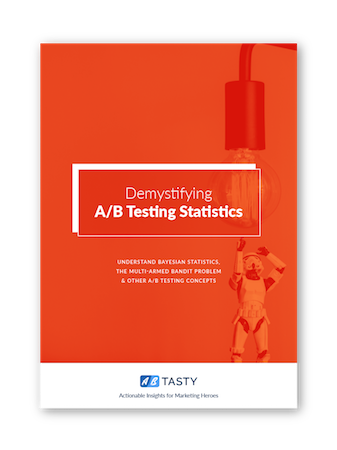 We'll dive into how statistical methods are used to drive A/B testing platforms, the difference between common approaches, and more.